One of our biggest projects in 2018 was producing a whopping number of these seed packets for the Queensland Government’s Healthier Happier campaign. 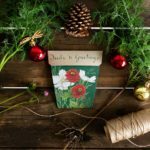 The custom designed Gifts of Seeds form part of a Kitchen Garden Pack which include an instructions booklet, gardening tips and tasty suggestions. 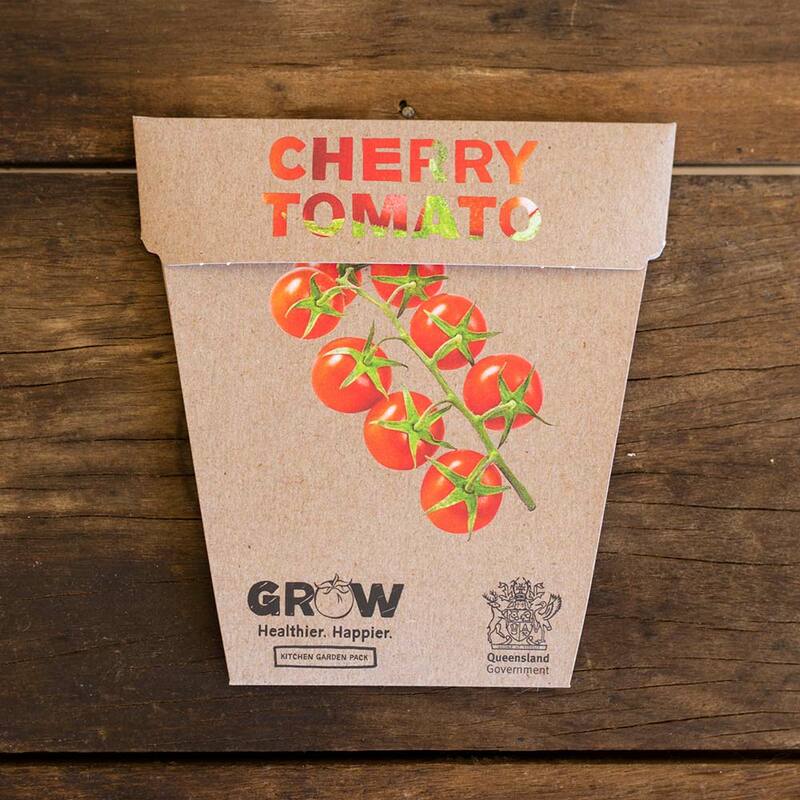 We produced five seed packets for each pack including Lettuce, Cherry Tomato, Basil, Spring Onion and Carrots which were available free to Queensland residents! Designed in collaboration with Daniella Germain (who’s stunning illustrations adorn the packaging) our Australian Native collection of Gift of Seeds have been very well received, getting especially popular at Christmas when we sold more of the Natives than we did our original Gift of Seeds collection, which went against the normal trend for more sales of our ‘original‘ collection earlier in the year. 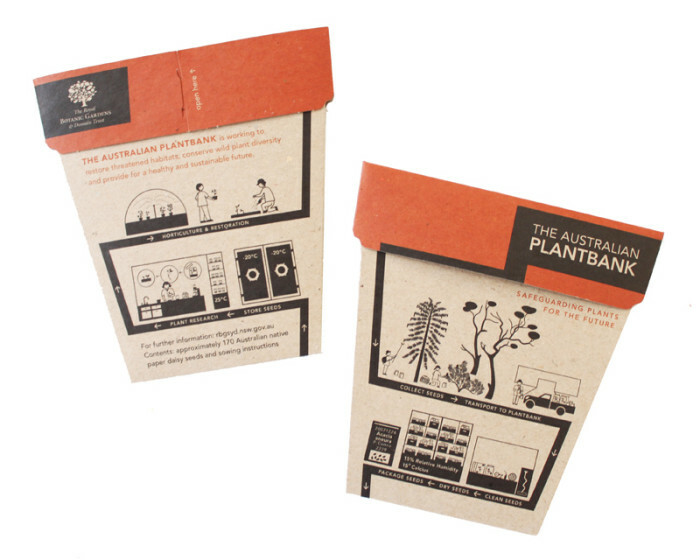 We delivered vibrant custom designed Gifts of Seeds for the City of Sydney, the Royal Botanic Gardens Sydney, the Australian PlantBank, Audi Australia, Sensology Bacadi Lion and Evolve Development amongst others. 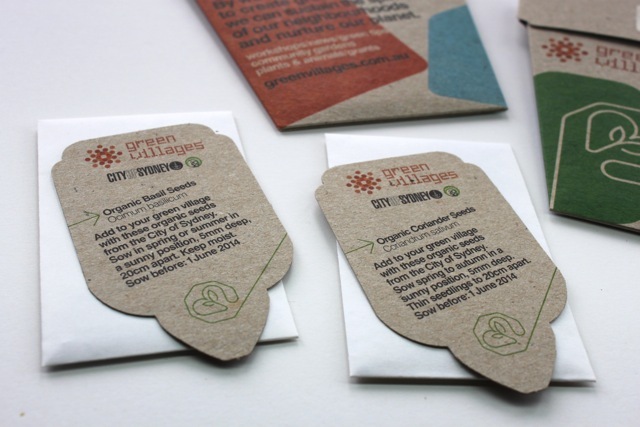 We take great pride in delivering top quality, environmentally friendly promotional seed packets to all of our clients. 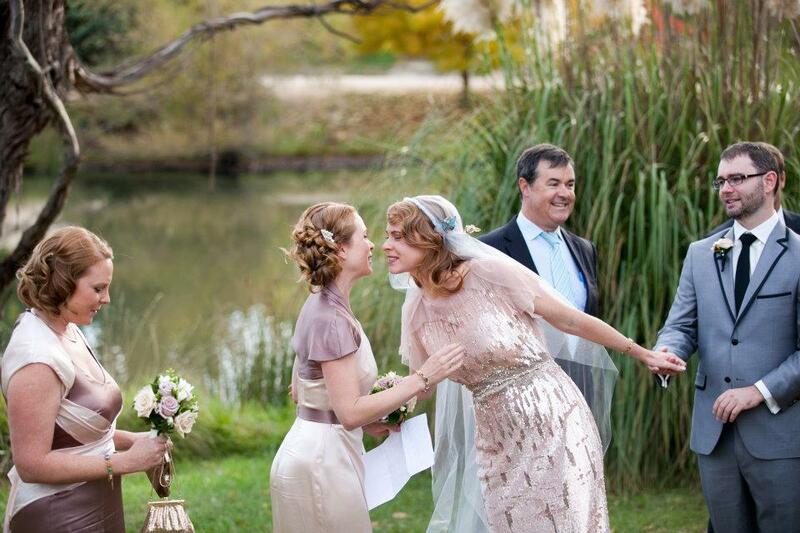 Catalina joined us in March 2013 and helps us with all of our product assembly and order fulfilment. And August joined us in November to help manage the sudden surge in our work load over Christmas. Both Cat and August are now highly valued members of our team. 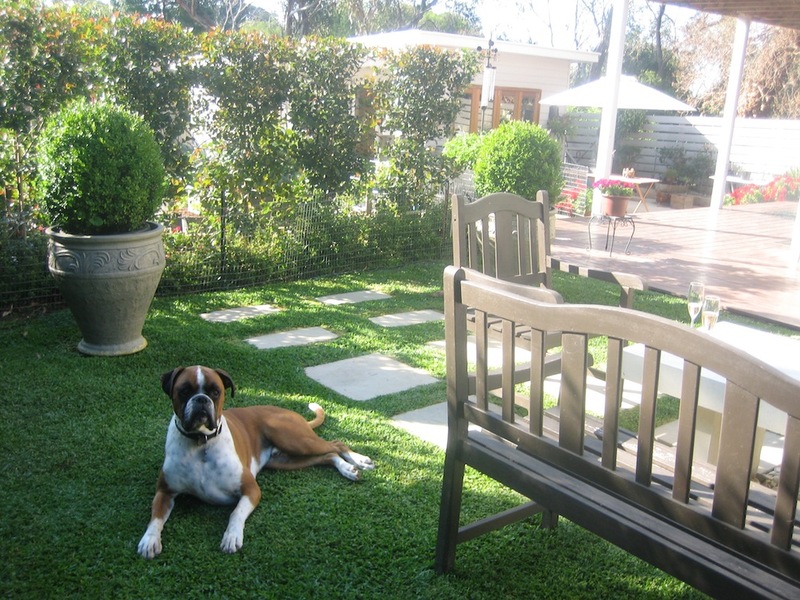 In 2013 our products were featured in Home Beautiful Magazine, Your Backyard, Yen, House and Garden, Country Home Ideas, Artisan, Gardening Australia, Sunday Life and Your Garden to name a few! 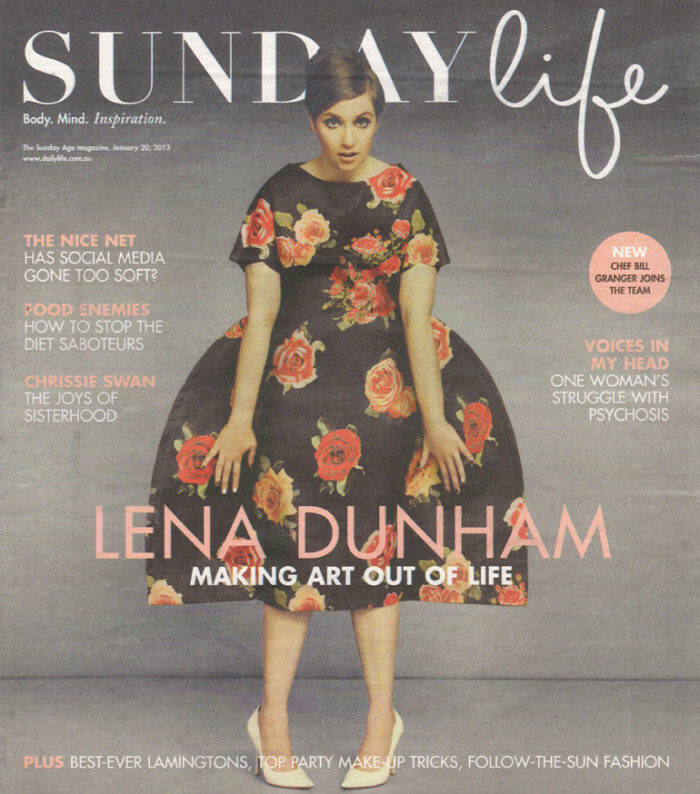 We are extremely grateful for the exposure. In August 2013 we launched our ‘Christmas Greetings’ Billy Buttons Gift of Seeds which was so well received that we ran out of stock in October and had to re-print! 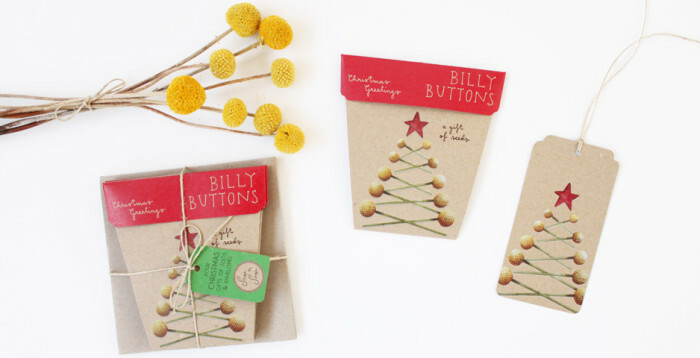 We hope there are Billy Button seedlings filling gardens all over Australia at the moment. 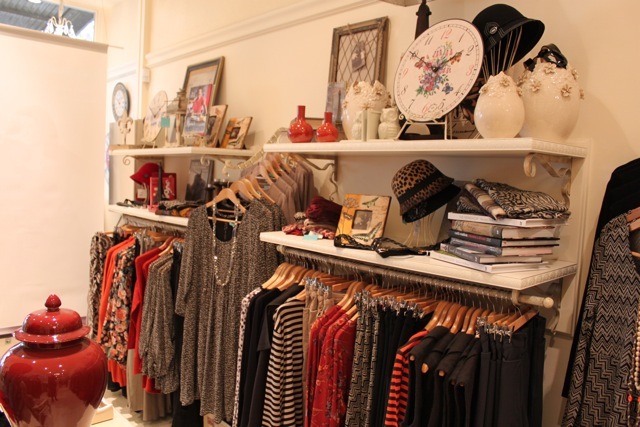 We are thrilled to now have our products stocked in over 100 fabulous retail outlets across Australia including boutique gift shops, florists and eco retailers. Being part of this massive market event held at the Royal Exhibition Building at the busiest time of the year was really exciting for us. It was great to be public facing again as we haven’t done a market in a long while. We met loads of lovely customers, had great chats with like minded creative businesses and the honourable Stephanie Alexander popped by which was a thrill to hear even though I wasn’t there at the time! 2014 is likely to be another big one. A new team member is due to arrive in early March, unfortunately this one is going to need a few years of training before we can put her to work! To coincide with becoming a mother for the first time, we will be launching a Mothers Day Gift of Seeds with Chrysanthemum in the coming weeks, so stay tuned! We are looking forward to celebrating another great year of sowing seeds. 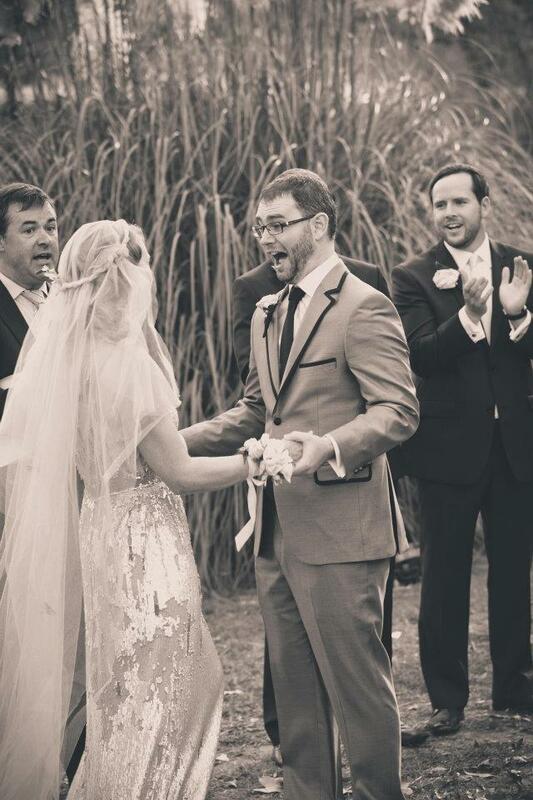 Thank you for all your support and interest in 2013! These fully custom designed Gift of Seeds were created for The Australian PlantBank, a new science and research facility for the Royal Botanic Gardens and Domain Trust. 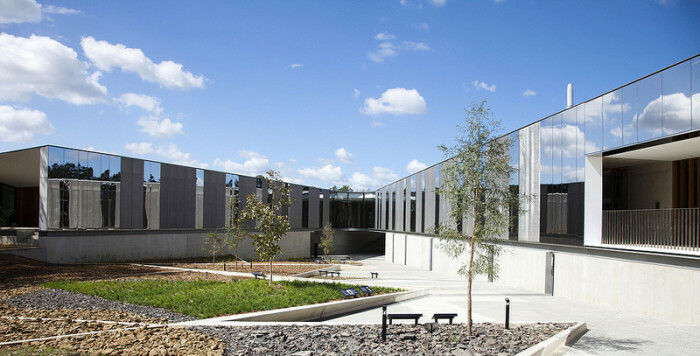 Located at the Australian Botanic Garden, Mount Annan, PlantBank officially opened on Friday October 11 2013 and our Gifts of Seeds seeds were a part of the opening celebrations. This internationally significant plant conservation facility houses a seed vault and research laboratories that specialise in horticultural research and the conservation of Australian native plant species. 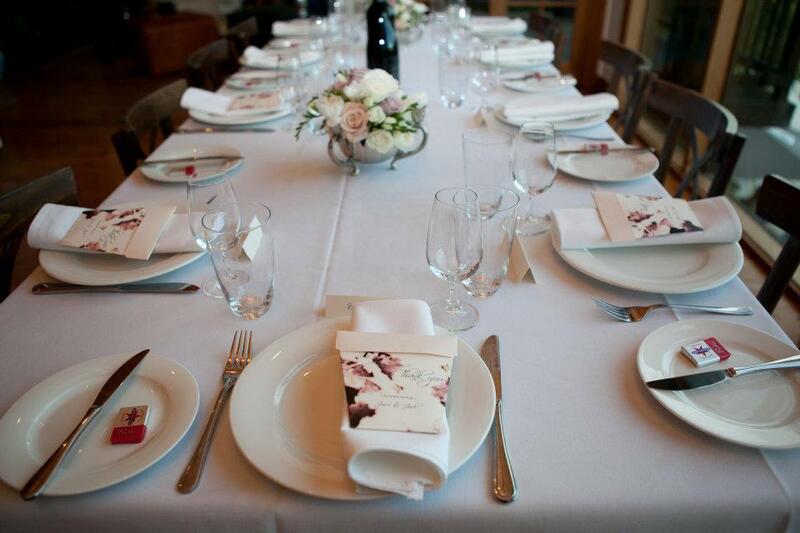 As a promotional product, our Gifts of Seeds were of course perfectly suited! 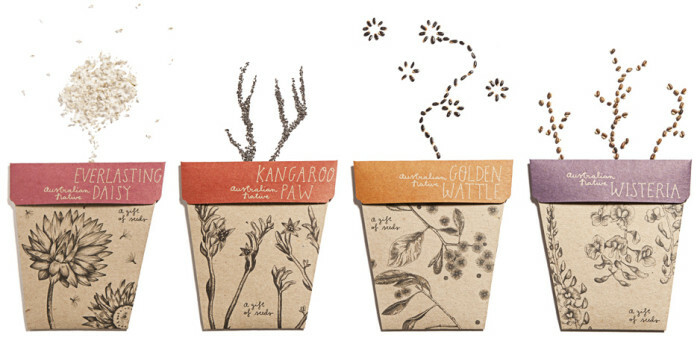 The design was carried out by the in-house graphics team at The Royal Botanic Gardens and the seed type was paper daisy seeds, a vibrant Australian Native that is popular and easy to grow. 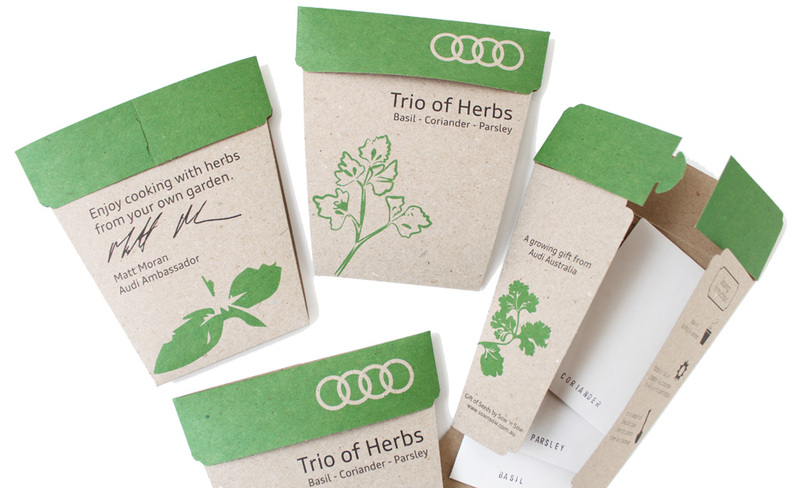 A growing gift from Audi Australia. 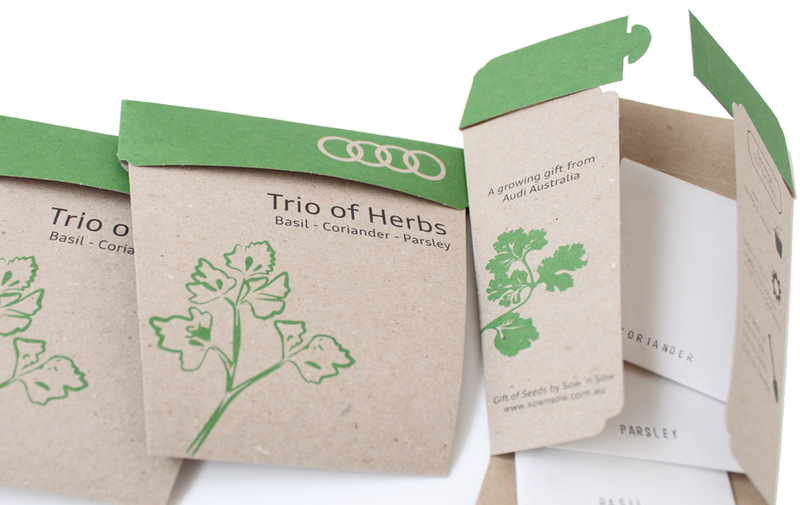 These custom designed seed packets were made for Audi Hamilton Island Race Week. 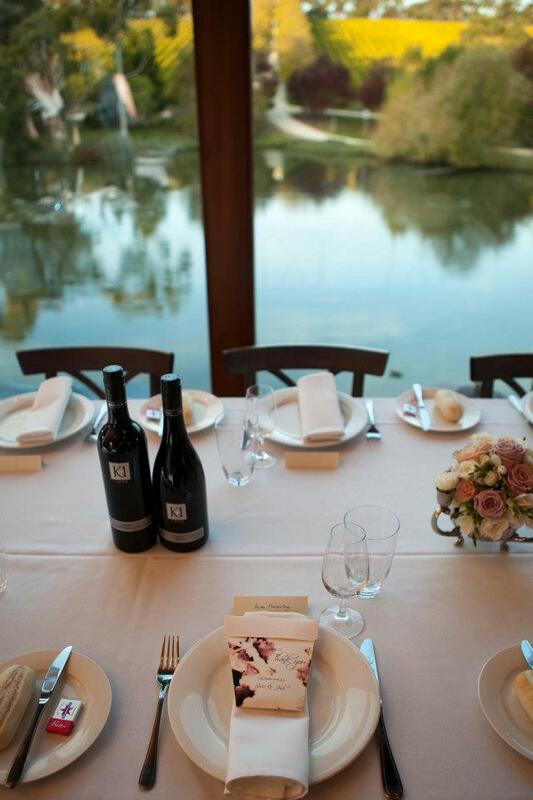 A ‘Trio of Herbs’ was gifted to each guest at the ‘Chiswick’ dinner presented by Matt Moran on Saturday the 17th of August. 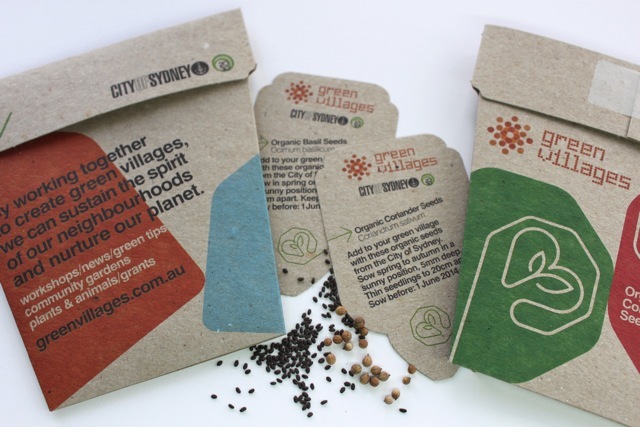 Sydneysiders keep an eye out for the City of Sydney’s Green Villages branded Gifts of Seeds. 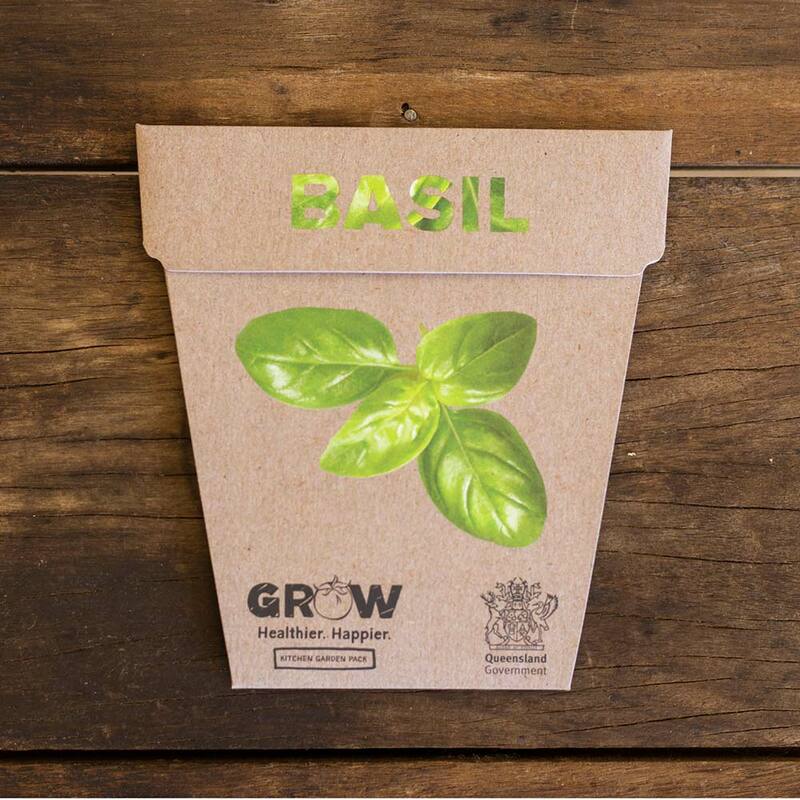 These will be used as part of the city’s partnership with Grow It Local, encouraging residents to grow their own food and live more sustainably. 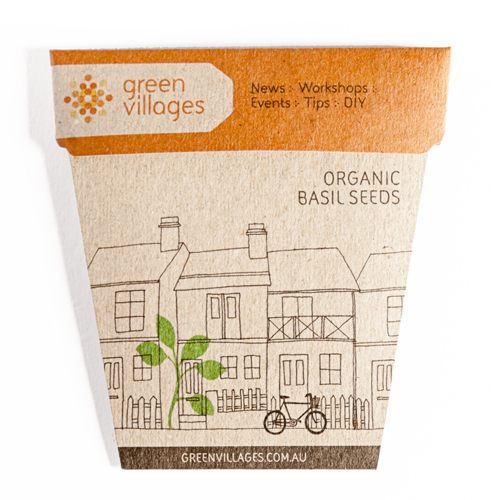 This is our second custom design for the City of Sydney (see the first ones here), who will be giving these organic basil and organic coriander seeds away at upcoming Green Villages Workshops. 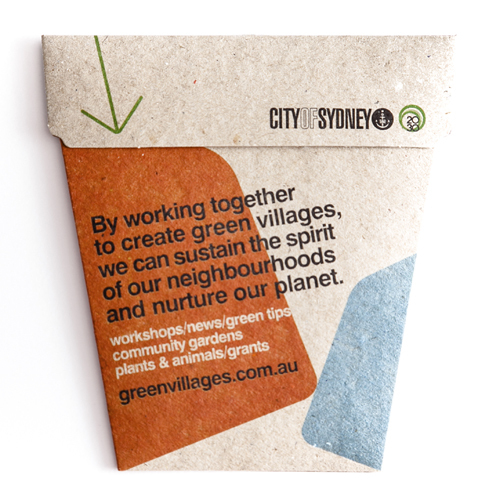 They will also be distributed across Sydney cafes who use local produce, who will give them to customers to spread the word! 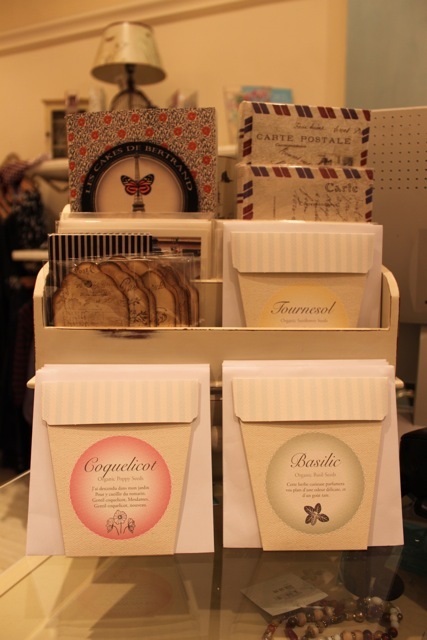 The Sustainability Marketing team loved our latest Gift of Seeds collection so these custom designed packets are again illustrated by the fabulous Daniella Germain, whose gorgeous illustration of Sydney’s quintessential terraces adorn the card. 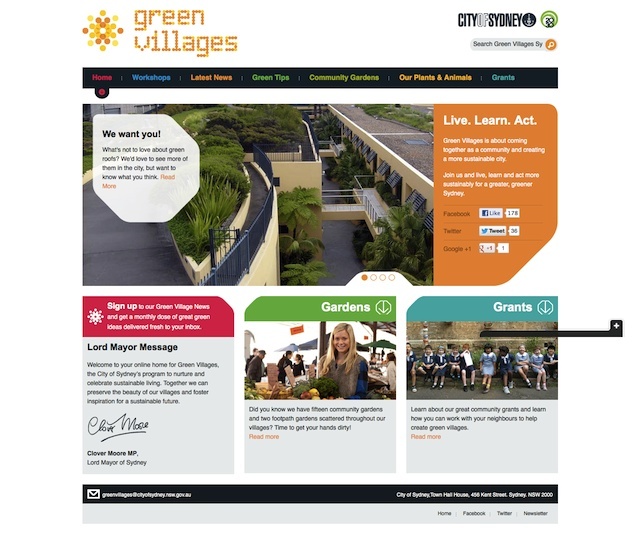 Green Villages have some great free workshops on everything from balcony gardening to natural cleaning. Grow It Local is all about encouraging backyard, balcony, community and windowsill food farming, bringing people together and having fun. 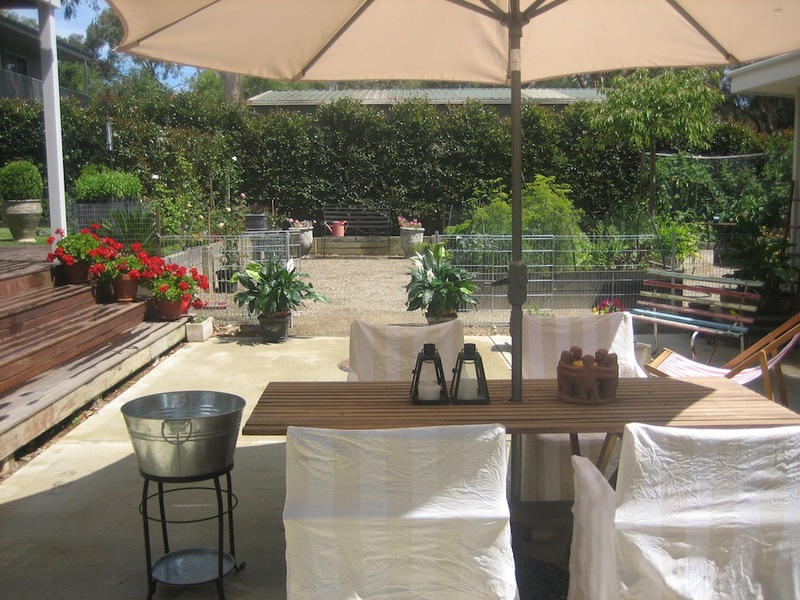 You can post your own veggie patch on the Grow It Local Map and share your garden via #growitlocal on instagram. Check out our little patch here! 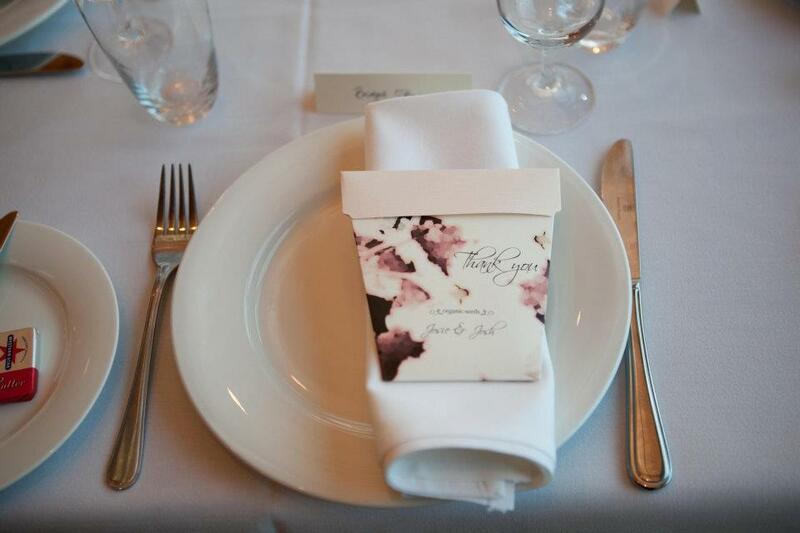 The Royal Botanic Gardens (RBG) in Sydney is one of the most well-known gardens in Australia and as such we were honoured and thrilled to create a custom designed RBG Gift of Seeds. 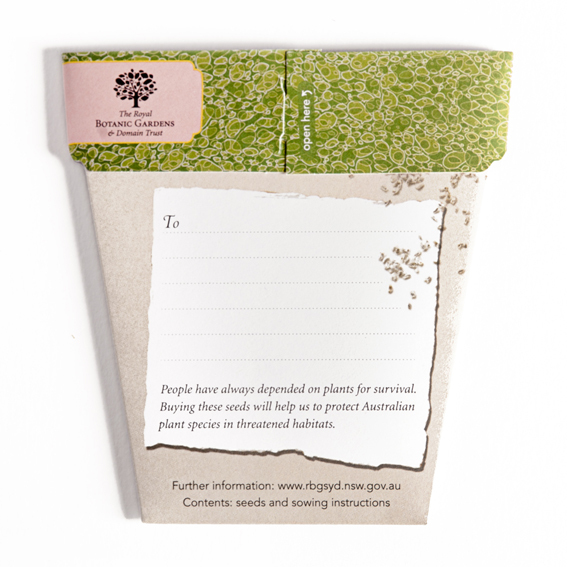 The packets are currently being placed in hotel rooms at the Four Season Hotel (Sydney) as an innovative way for guests to support the Gardens and in doing so, help to protect Australian plant species in threatened habitats. Paper Daisies were chosen as they are one of the most popular features at the Gardens in Spring and are easy to grow from seed. 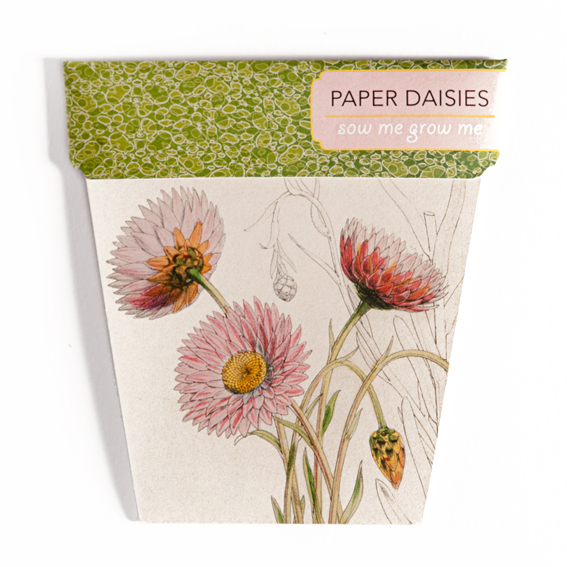 The design of the packets was created with Karen Rinkel, the Garden’s graphic designer, who applied a vintage botanical illustration of the paper daisies (Rhodanthe chlorocephala subsp. rosea ‘Rosy Everlasting’) combined with the layout and a few elements from our retail packets. 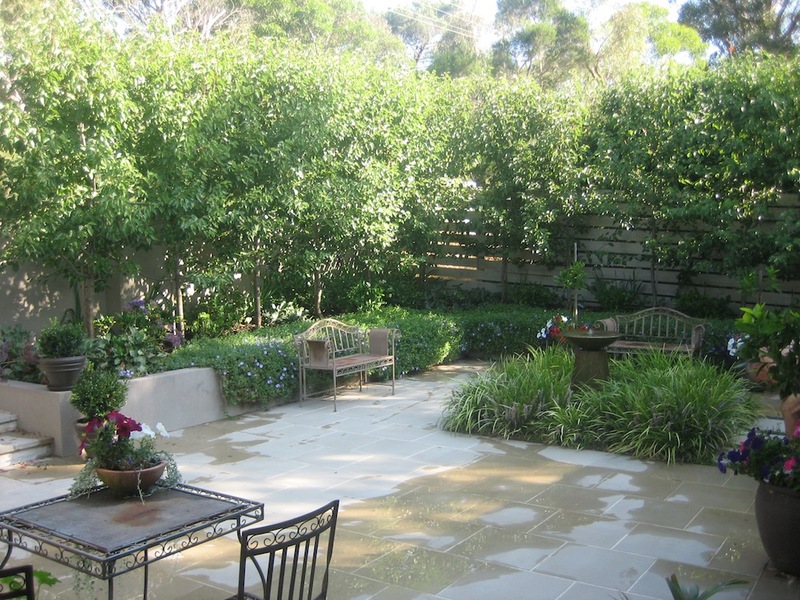 The Royal Botanic Gardens raise half of their funding independently which contributes to maintaining the gardens, conservation and heritage projects, science, research, education and outreach. If you would like to show your support for the gardens by purchasing one of these lovely packets, pop over to the Gardens Shop. 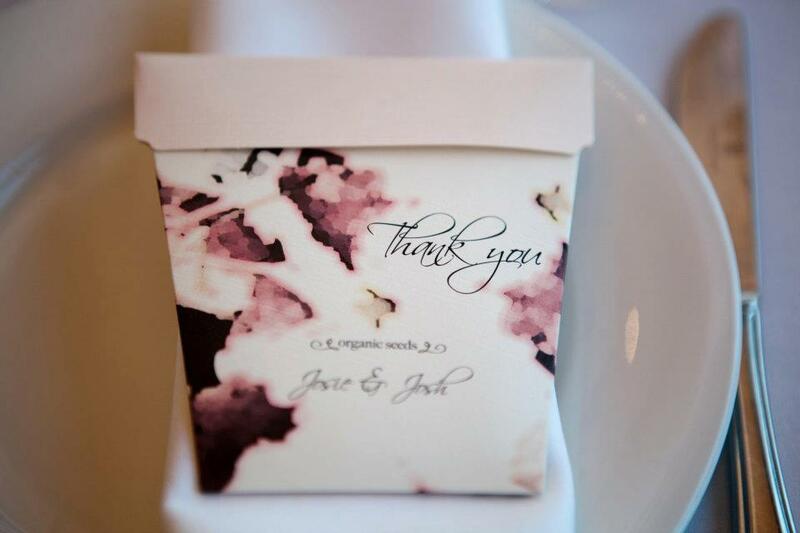 We’re really proud of these custom designed Gifts of Seeds for a few reasons. 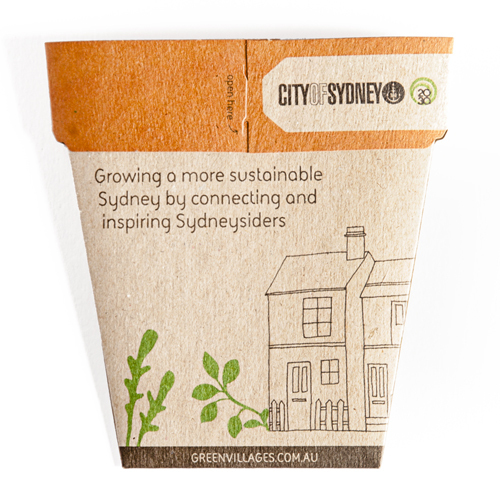 Firstly because they are part of a fabulous program which celebrates sustainable living and ‘growing your own’, and secondly because we had the opportunity to work with The City of Sydney! 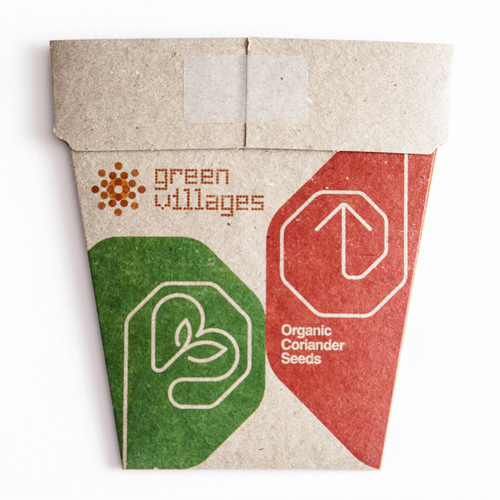 We were delighted to hear that the council’s Sustainability Marketing team thought our Gifts of Seeds were great, and that they’d love to have a custom design for the Green Villages Brand. 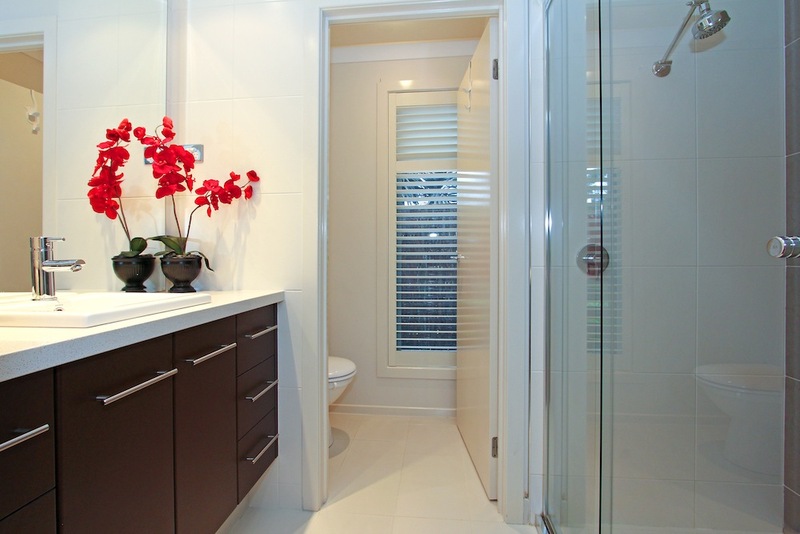 Green Villages is all about inspiring individuals to live more sustainably. They hold workshops on creating balcony gardens and growing food in small spaces, and they have just launched a website all about educating the community on how to live green! We aren’t exactly sure where or when the packets will be handed out at this stage, but there are two kinds, organic basil and organic coriander to look out for. 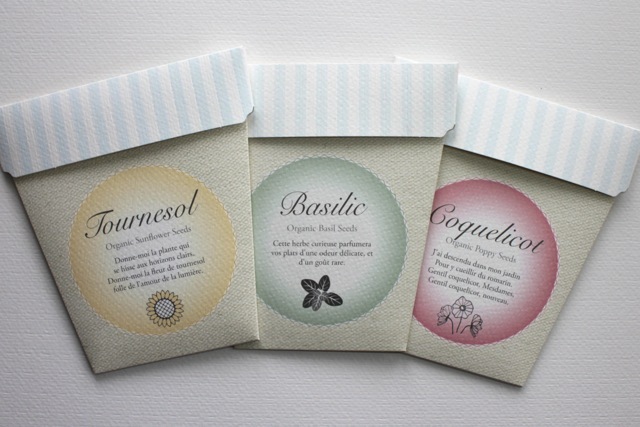 They are quite distinctive in their 100% recycled packaging, so if anyone sees them around, please let us know! 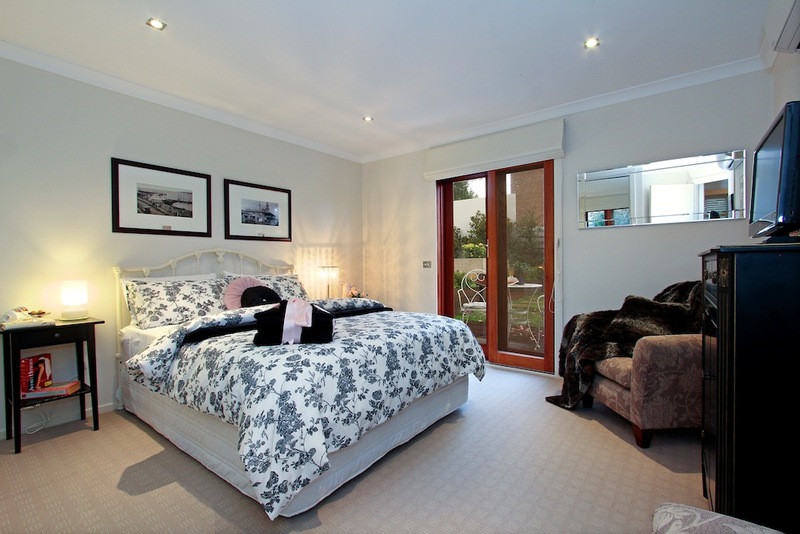 We’ve just completed a custom design for a new Bed and Breakfast on the Mornington Peninsular called The Guest Room Mt Martha. 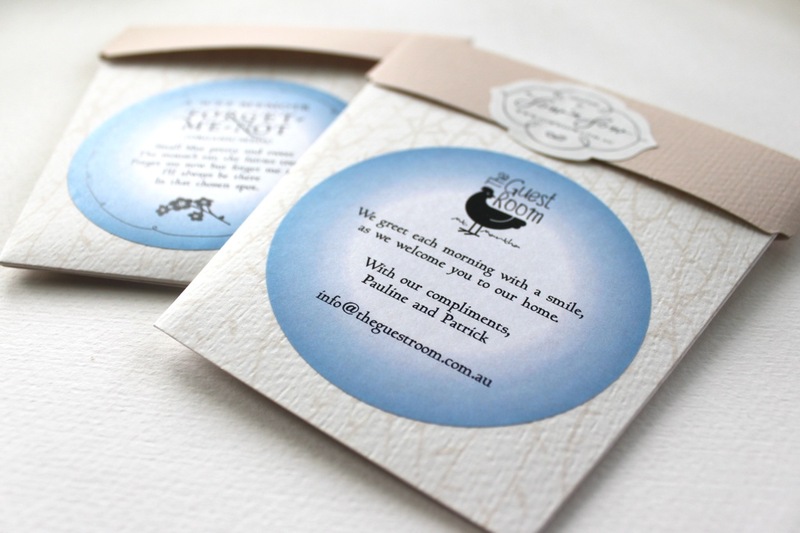 The owner Pauline Eather wanted to have a personalised message printed onto the back of the existing Forget-me-not packets, so that she could leave one on the pillow for guests as a take home memento of their stay. Isn’t that the loveliest idea? I’ve never been to a B&B with that much sweet thoughtfulness and as such I had a suspicion that the accommodation was probably outside of the ordinary but when the lovely Pauline sent me these photos last week I was pretty much gob smacked – the gardens and accommodation look gorgeous! 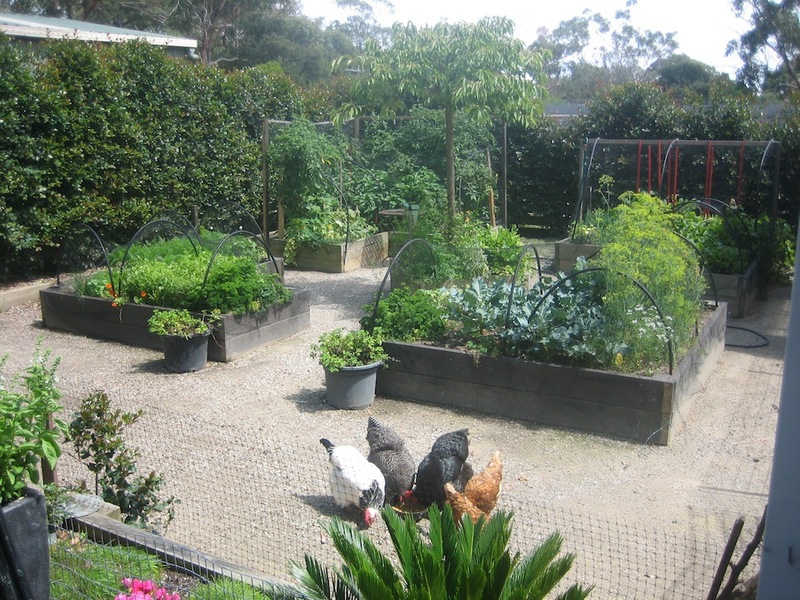 Those veggie patches and chickens are picture perfect and the room looks positively luxurious! 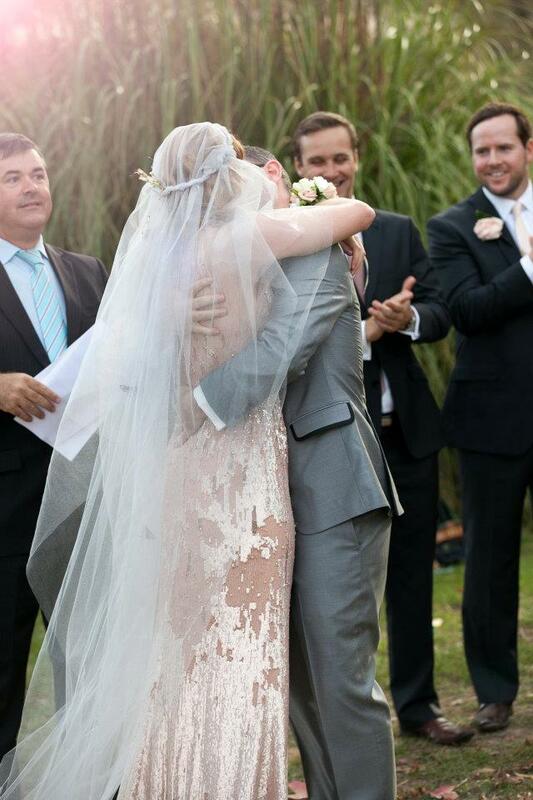 For bookings contact Pauline on pandpeather@yahoo.com.au. 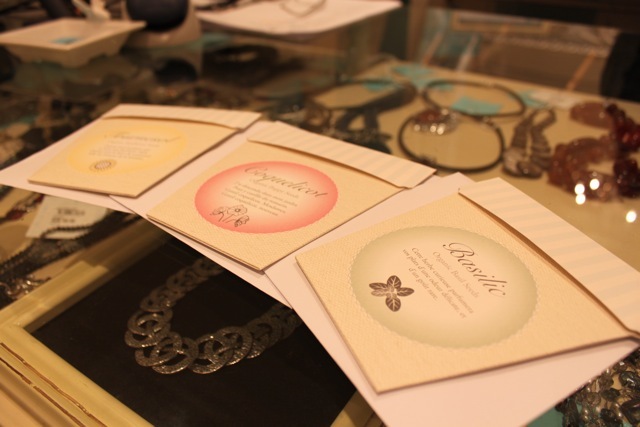 We were delighted to custom design a range of Gifts of Seeds for Blue Illusion, the Australian owned chain of women’s fashion boutiques. Produced especially for Mothers day, the Blue Illusion selection features Basil, Poppy and Sunflower with French poems and Blue Illusion styling. Available now in Blue Illusion stores Australia-wide, they make a gorgeous stand-alone gift for Mum, or the perfect gift accompaniment when used as a gift card. 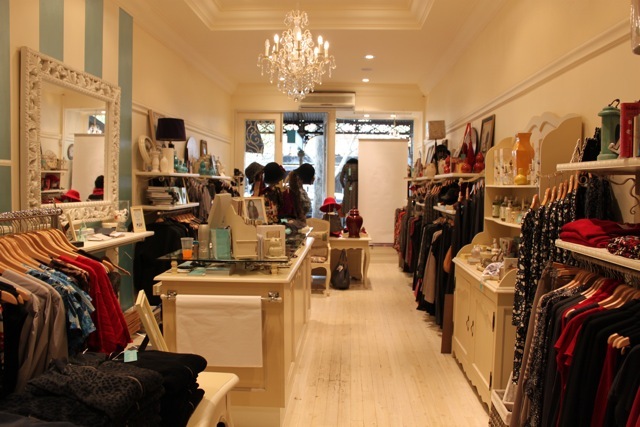 And if you pop into a Blue Illusion boutique on Thursday the 10th of May, 10% of all sales go to the National Breast Cancer Foundation as part of Blue Illusion’s Mothers day celebrations. 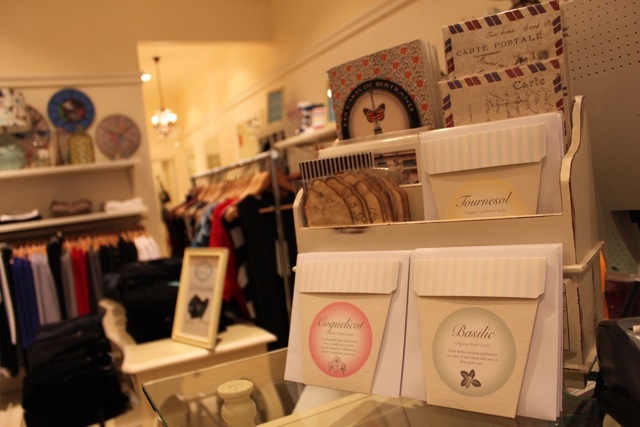 So take your mums, grandmothers, aunties, daughters and friends along to your nearest Blue Illusion boutique and pick up some Gifts of Seeds along with many other lovely goodies! And I hear that from 12 – 3pm there will be bubbly and macaroons, who needs a better reason to get out of the office/ house/ garden? 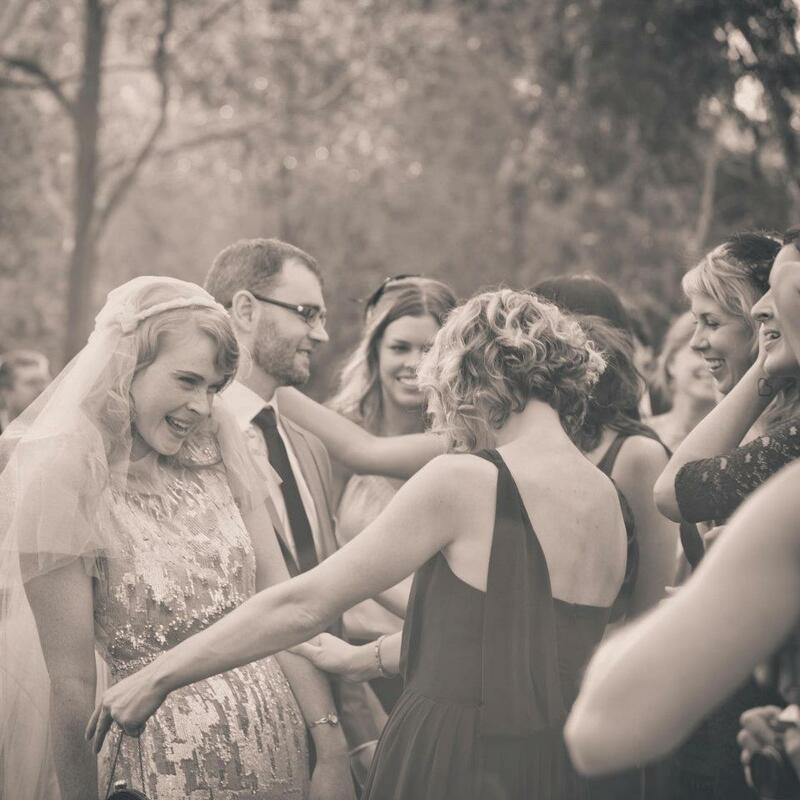 This is the breathtakingly stunning wedding of my dear friend Josephine to her husband Joshua, held in the picturesque McLaren Vale wine region of South Australia on April the 14th 2012. 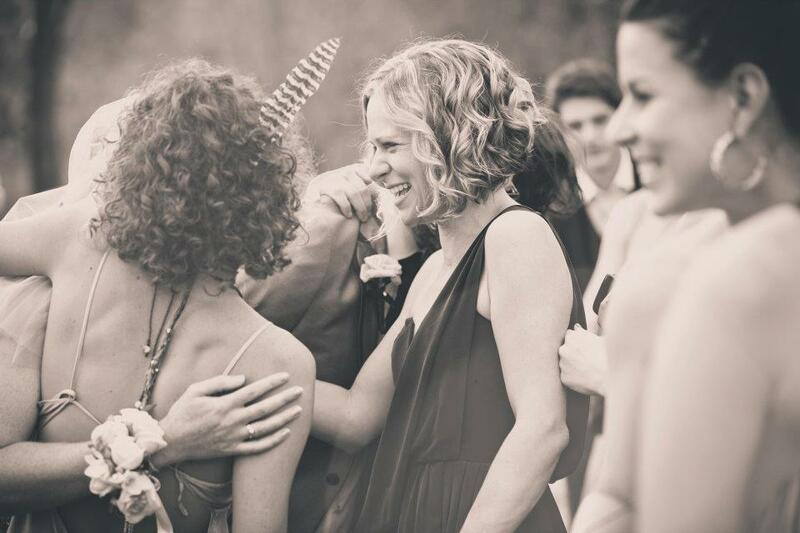 Words cannot describe how enchanted this event was, and it was such an honour to provide custom Gifts of Seeds for the occasion. 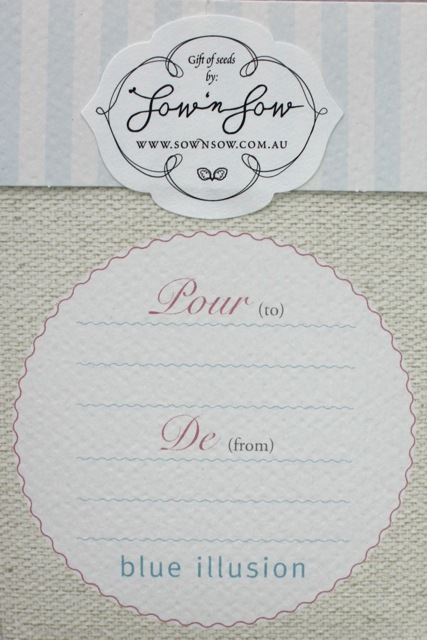 Designed to match the save-the-date and invitation, organic sweet pea seeds were handed out to each guest so that they could sow a little bit of magic from the occasion in their own gardens. 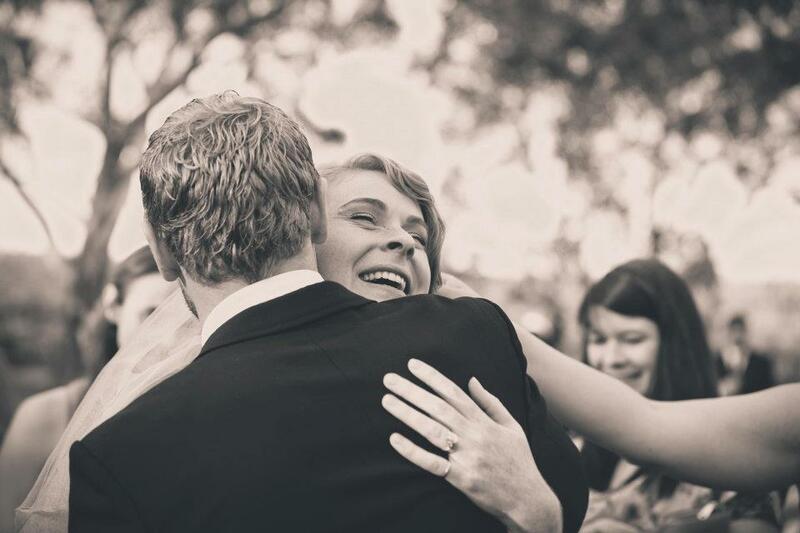 These stunning photographs were taken by the incredible photographer and friend Bridget O’Brien – website coming soon!